Happy Friday, friends! I'm sitting at my gate, getting ready to board a plane to Orlando for the Gospel Coalition Conference. But before this whirlwind of a day takes off, I'm excited to introduce you to a beautiful, talented friend of mine, Annamarie Akins. This wedding photographer is one of my favorite people to follow along with. Not only do I love her stunning photos, but I really enjoy her sweet, kind heart. She's sincere, friendly, and easy to get to know. It's no wonder she's becoming more and more successful in her field! I think you'll really enjoy this Coffee Date today - it did my heart good already. All, meet Annamarie! I actually go to bed each night excited that I get to wake up and drink coffee... you could say I'm addicted! Ryan makes a big part of dark roast coffee in the morning before he leaves for work around 6 AM and always leaves enough for me to have a cup or two! I always enjoy it with coconut milk in one of my favorite anthro mugs. On my wish list though, is one of those Nespresso machines... Cappuccinos are my absolute favorite so I think it would be a fun investment! Give us a glimpse into a "day in the life" of Annamarie. Ohh this is tricky because I feel like my days are never the same... and I love that about what I do! I like routine in a lot of things, but I think TOO much structure can make life feel monotonous. My favorite days are the ones where I get up in time to have breakfast with Ryan and then do something non-business related before I start working like take Lexie on a walk and spend time in prayer! 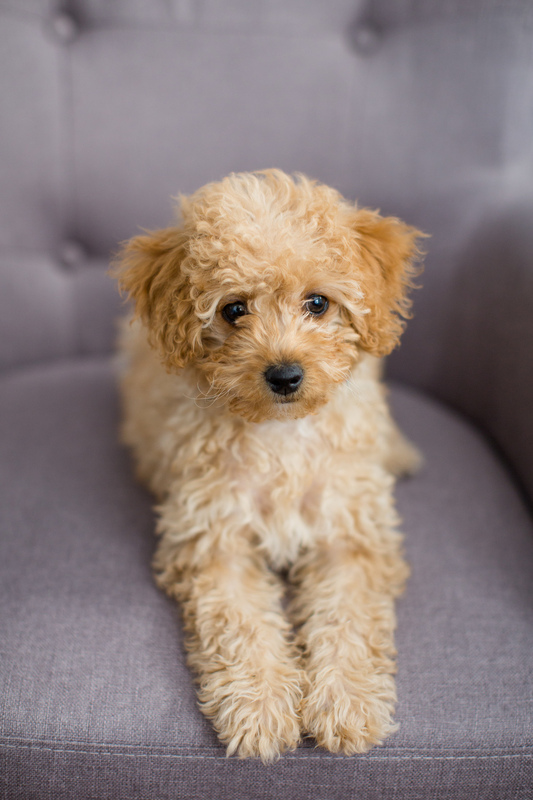 Then I normally head up to my little office and take care of things on the back end of my business, prep for a shoot or meet a new client, or get editing done with our cockapoo puppy, Lexie, curled up in my lap depending on the day! And I have to take regular breaks or else I get easily distracted... The Pomodoro Method has been my saving grace! Sometimes I get to have work days with one of my best friends who is also a photographer... that makes working from home much less lonely! And if we're talking "ideal" day in the life of Annamarie, it's waking up in a fun place for a shoot! This week I shot an Anniversary Celebration Session in NYC and it reminded me once again why I'm passionate about what I do... Getting to celebrate love and marriage with the couples I photograph in new and inspiring places is such a dream come true! If you could travel anywhere to shoot a wedding, where would it be and why? Italy! The south of France! Northern California! New York City! Jamaica! Is it really possible to pick just one? There are so many beautiful places! But honestly, I'm currently really loving the Georgia coast... Ryan's grandparents own a condo on St. Simon Island and we visited for the first time in March and are actually heading there again this weekend for our anniversary! Needless to say I fell head over heels in love with that place! The mossy oak trees...the gorgeous architecture...the southern hospitality...sigh... So somewhere along the Georgia coast around Savannah or the Golden Isles would be a dream! I've also been learning to really love and appreciate weddings that are close to home... one of my favorite places to shoot is Charlottesville because it's such a gorgeous area and only about an hour from home! That means more weekend time to spend with Ryan and Lexie :). I'm a travel loving homebody... meaning that traveling and visiting new places brings me so much joy, but sometimes there's nothing better than being curled up on the couch with my little family watching a movie or reading a book! Having your own business can be busy and stressful. How do you simplify? This is a toughie but I think it's all about focus. I really believe that if you put your main focus on loving people and serving your clients as best you can then everything else will fall into place. 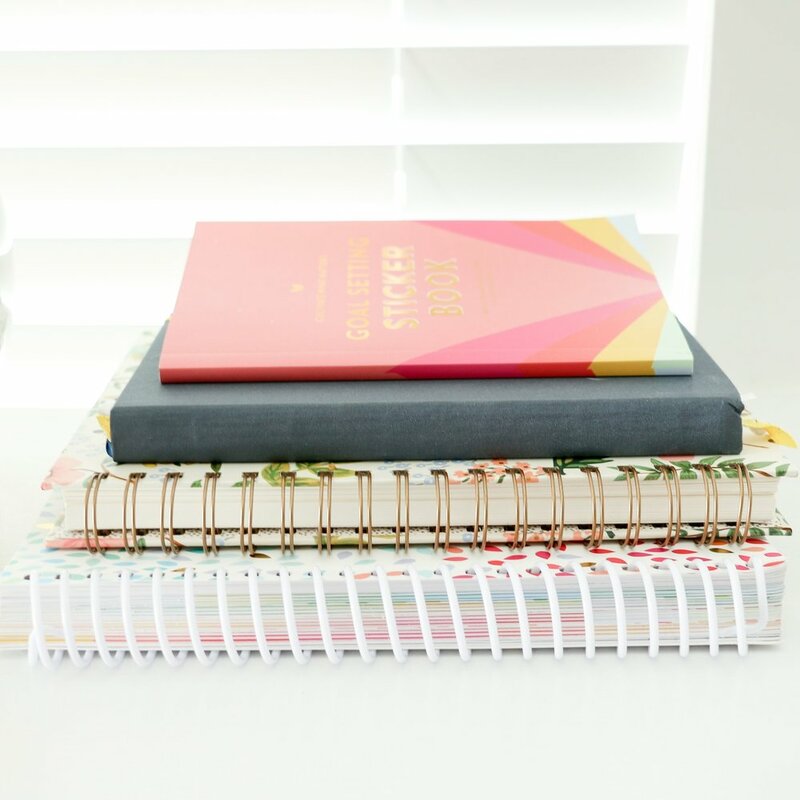 It's easy to look at a mile long to-do list as a small business owner and feel overwhelmed. But if you choose to focus on doing the things that are going to make people feel most loved and taken care of then it's easier to discern what you should do first and that every little thing on there isn't really even important. There's a quote that goes something like "The secret to doing it all is to not actually do it all." I have to remind myself daily of what matters most so that I donn't get caught up in thinking that life is found in "more"...more stuff, more accomplishments, more shoots..."more" clouds our vision and weighs us down... Learning to say "no" to things changed my life! I truly believe it's better to do "less" really well because it allows you to enjoy it and gives you time to appreciate it! 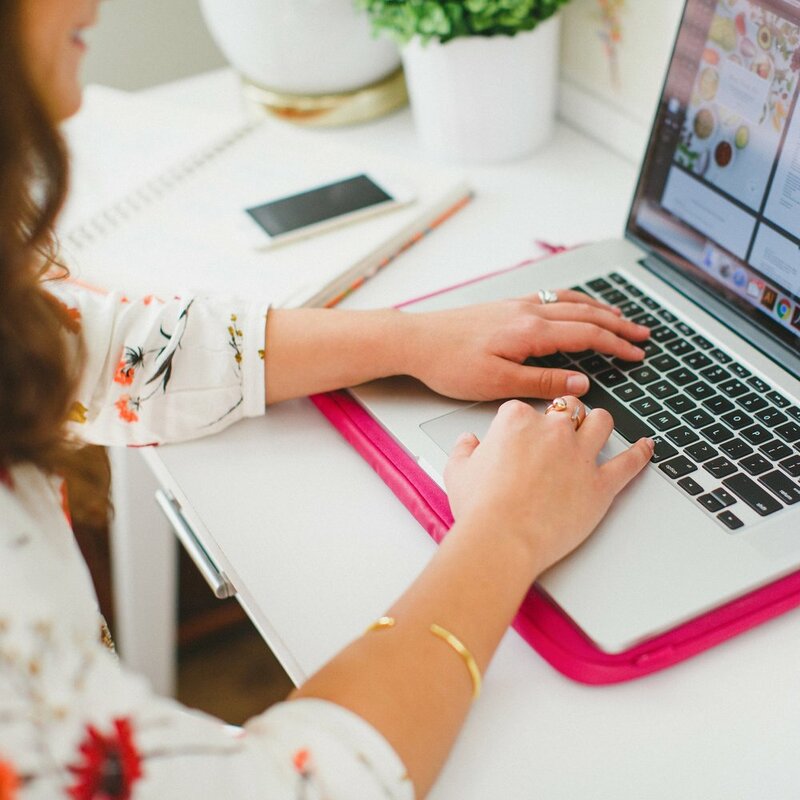 You recently redesigned your website and your branding (and it is absolutely gorgeous!) What spurred you to change things up and how important is design to your business? Thank you so much, Lauren! I think design is so important! To me, your mission and your brand go hand in hand. At my core, I love what I do because I love people and really believe in marriage and the power of capturing a couples love story! So, I wanted a brand that would reflect that and reach couples who love timeless, romantic, and refined style. Ohh don't you love that word, refined? There's something about it that goes deeper than what you see on the surface. Making the Robert Browning poem, "The best is yet to be..." a foundational element of the new brand and design was important to me because I knew I wanted to take my business in the direction of making Anniversary Celebration Sessions a focal point and it's exciting to see that playing out! As much as I love weddings, I'm even more passionate about the marriages that begin on a wedding day! For me to be the photographer I wanted to be, I wouldn't fit into the mold of my old website. I wanted a website that would share a powerful brand and story in an understated and sophisticated way! And my designer and friend, Krista, did such an incredible job of bringing it to life! Veil shots. When a bride has a beautiful long veil on her wedding day I do an internal happy dance. The way a veil catches the light is so ethereal and I think they make portait time more dynamic! This might sound sill to any non-photogs reading this, but ohhh do I love a good veil! And on another note, lately I've just been loving people and am so thankful for the ones that God has placed in my life... I've been overwhelmed by the joy that comes from really investing in relationships and caring about people for who they are at their core despite what they do for you in return... from the couples I work with, to the people in my small group, to other small business owners and wedding industry professionals... I think when you look at life with that perspective that loving people matters more than anything else, the race to do more or get ahead or feel defeated by the hard things fades... loving people is done best in the times when you choose to live slower and create the necessary margins in life to be giving of your time. One of my favorite authors, Ann Voskamp, writes "Your best necklace is always the arms of someone you love laced around your neck, and your greatest jewels are not what you buy but the relationships you spend your life on...". It's so crazy to think back on times before Lexie the Cockapoo... she adds so much joy to my life! I love having her as a snuggle buddy and companion during the day when I'm working from home alone... We are some of those crazy people who personify their pet and say what we think she's thinking for her... she just has so much personality! Her favorite thing to do right now is run to the mail slot as the postman is sticking the mail through and grab it from his hand... then she growls and shakes it around like she is trying to make sure it's not alive. She hasn't ripped up anything too important besides a new J. Crew catalogue last week... We should probably discourage her from doing this before she rips up anything that's actually important! Be sure to follow along with Annamarie on her blog, Instagram, and Facebook!